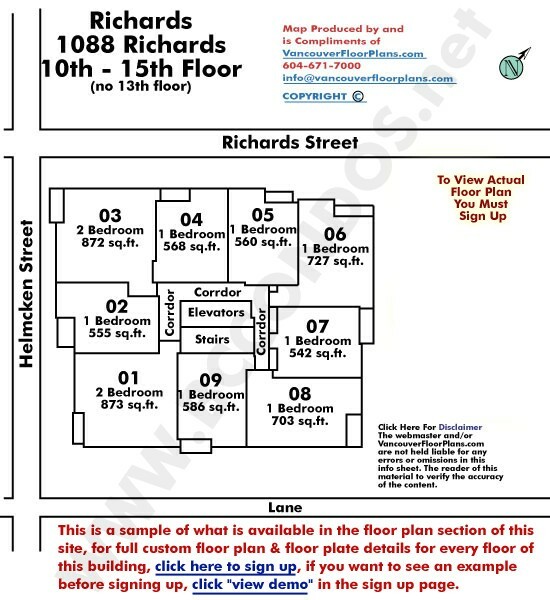 BUILDING WEBSITE Richards at 1088 Richards St, V6B 3E1- Formally the "Richards on Richards Night Club" 226 suites, 18-storey residential tower with 8-storey podium & Townhouses + 2 detached heritage homes, suite sizes 553 sf - 885 sf (apartments) 1165 - 1315 sf (Townhouses & Penthouses) Marketing; Rennie Marketing Systems, Project WEB Site www.richardsliving.com Developer; Aqualini Investments Group, Architect: LDA Architects, Consultant: Larry Beasley (former planner for City of Vancouver), Interior Design; Sheffield Design This website contains: current building MLS listings & MLS sale info, building floor plans & strata plans, pictures of lobby & common area, developer, strata & concierge contact info, interactive 3D & Google location Maps link www.6717000.com/maps with downtown intersection virtual tours, downtown listing assignment lists of buildings under construction & aerial/satellite pictures of this building. For more info, click the side bar of this page or use the search feature in the top right hand corner of any page. 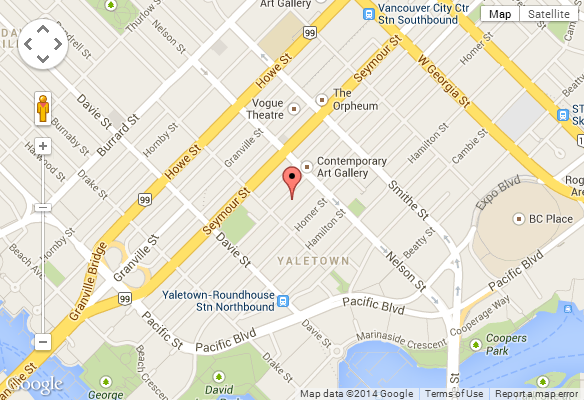 Building map location; Building #166-Map1, Concord Pacific, Downtown & Yaletown Area. Residence size: Apartments, 553 sq. ft. - 885 sq. 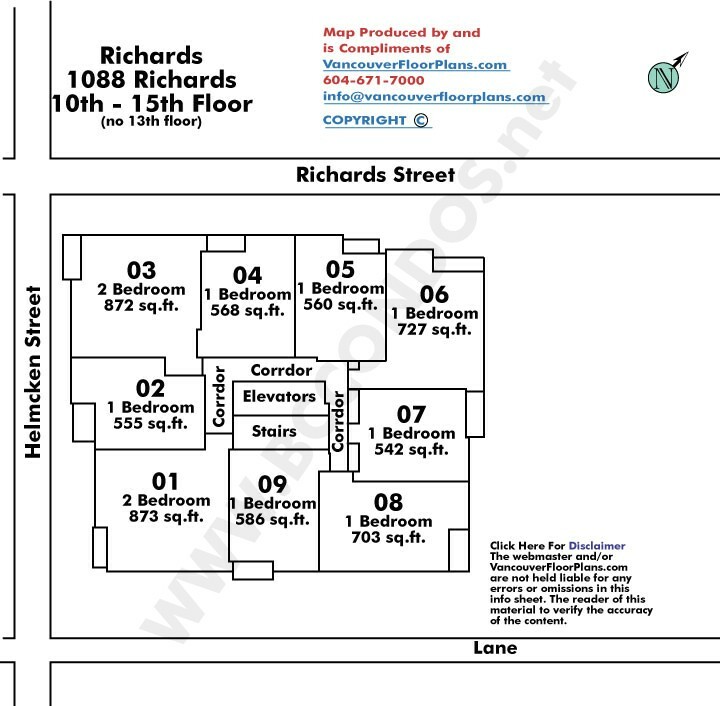 ft.; townhouses and penthouses, 1,168 sq. ft. - 1,315 sq. 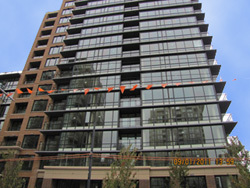 ft.
VANCOUVER - The latest glass-tower-residency opportunity downtown is a proposition that is equally basic and elegant. A European-sourced mastery of small-space residency or, perhaps more accurately, domestic activity, is one part of the proposition. A shortage of rental properties around Metropolitan Vancouver and of developable properties downtown is the other part. As the organizer of the Richards sales and marketing campaign, Bob Rennie, points out, the smaller-apartment vacancy rate locally is less than one per cent and has been since 2006. Four per cent is the comparable vacancy rate in other Canadian metropolitan areas, as the national housing agency, Canada Mortgage and Housing Corp., notes. Further, properties downtown on which builders and developers can erect rental homes are few and far between, Rennie says. 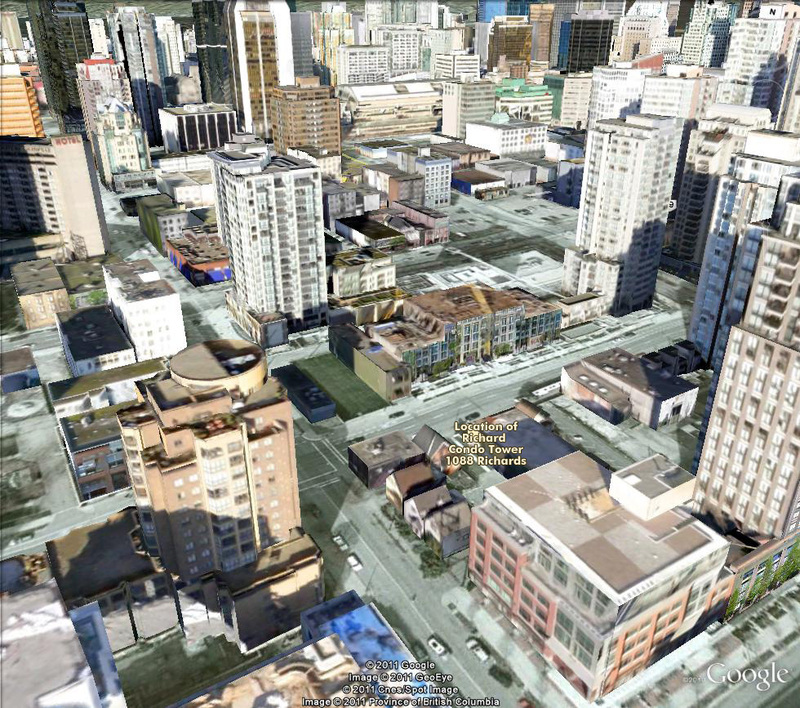 This dearth not only signals that 20 years of supplementing the original industrial and commercial purpose of the downtown peninsula with a residential purpose has claimed most of the properties there are to claim, he says. It also signals a concern at city hall and a determination to limit the conversion of downtown properties from industrial and commercial use to residential, he says. 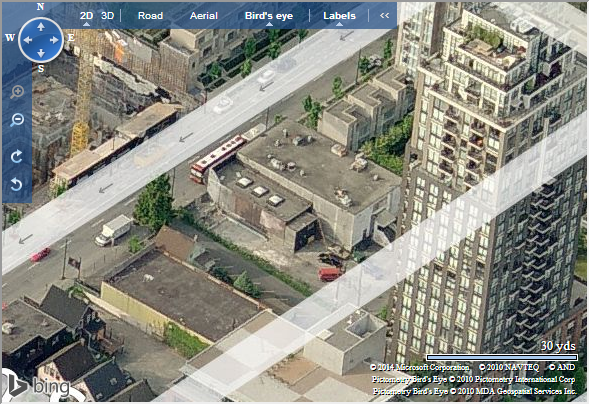 ''It's Yaletown,'' Rennie says, of the most likely Richards prospects. ''It's young buyers who want to be in the city and we wanted to hit that affordability level for them. 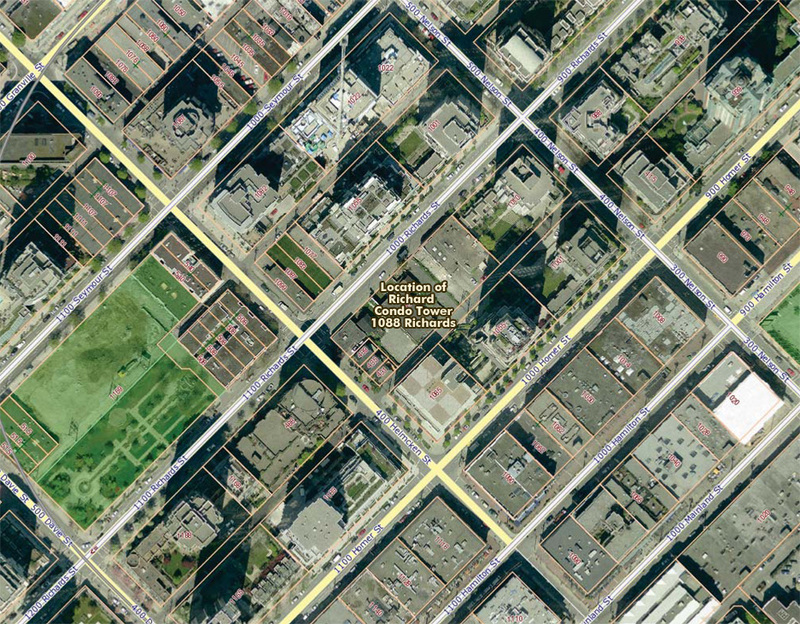 ''And you can't deny that investors are attracted to Vancouver. ''With rental rates going up, it makes sense. 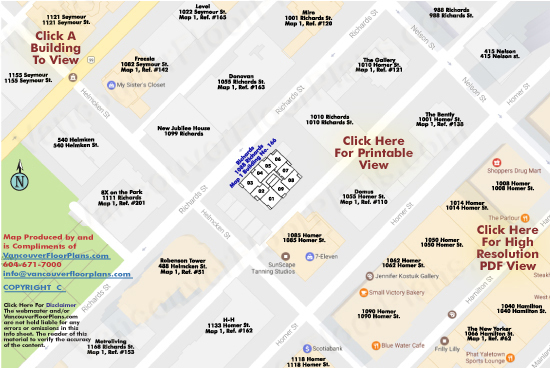 I would love to put in the article an observation about this investor who we all raise our eyebrows at: without the investor there is no rental inventory being supplied to our market. 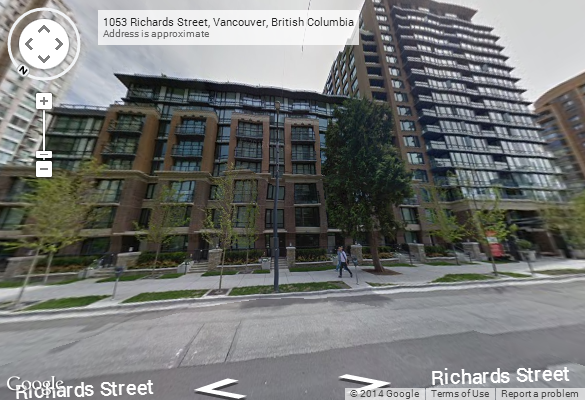 Another fundamental component of the Richards proposition is the developer, Francesco Aquilini, the owner of the Vancouver Canucks. That ''brand,'' in Rennie's opinion, is more than the Canucks and GM Place, the NHL club's arena. ''You can't say the name Aquilini in this city without talking about the Vancouver Canucks, of course. 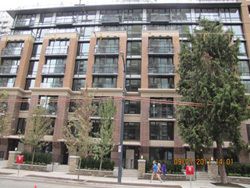 ''But they're doing this project, they've assembled this block, which is one of the rarest blocks left in Yaletown. 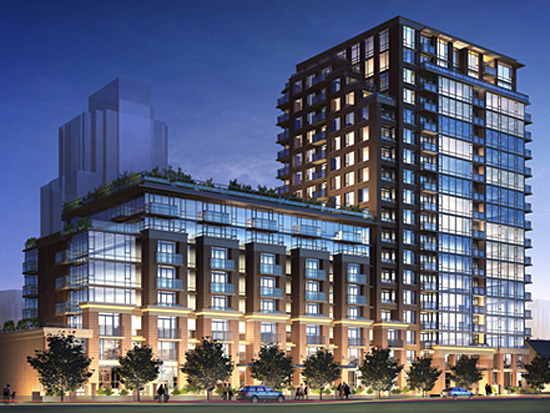 Aquilini Investment's Kelowna project is a 24-storey, 201-residence building. The company is one of at least four property owners working with city hall to create a new entertainment district around GM Place. The Maynards Block development will add 245 residences in two new buildings to the city's housing numbers, while preserving and restoring the old Maynards Auctioneers building. The interior designer of record for both the Maynards and Richards new-home projects is Mona Foreman of Sheffield Design Studio. Kitchens in both new-home projects will demonstrate storage and cooking-and-cleaning efficiencies that suggest commercial purposefulness. Working with Inform Interiors of Vancouver, the sole Canadian distributor of Eggersmann cabinetry from Germany, Foreman has designed kitchens that minimize the aggravations of preparing dinners and cleaning up. The above-the-counter storage will be shallow. The below-the-counter drawers will have internal dividers. There will be a pantry, and an appliance ''garage" behind a roll-up door. There will be, in other words, no reason to misplace anything in a Richards kitchens, no hunting through storm-tossed drawers and black-hole storage for a missing ingredient or tool. Harvey Reehal of Inform Projects Inc. employs a memorable pointer when talking about the Richards kitchens: The more than 102 cubic feet of storage in each kitchen will accommodate 4,350 cans of soup. Inform Projects is an Inform Interiors division that specializes in the design and supply of European kitchen and bath cabinetry. 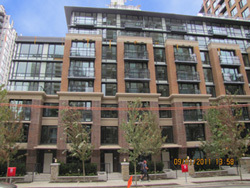 The Living Shangri-la households in Vancouver and Toronto will reside in homes with Eggersmann cabinetry, for example. ''The Eggersmann kitchens for the Richards project are, in a way, the heir to the unique virtues of European living,'' Reehal said in an interview. In the product-rich Vancouver new-home market, ''the smallest gradients of quality - esthetically and functionally'' matter when a potential buyer compares opportunities, he says. The appliances will be worthy of that sensibility, of course. Two other German companies will supply them: Blomberg, the fridges and dishwashers, and AEG, the cooktops and ovens. 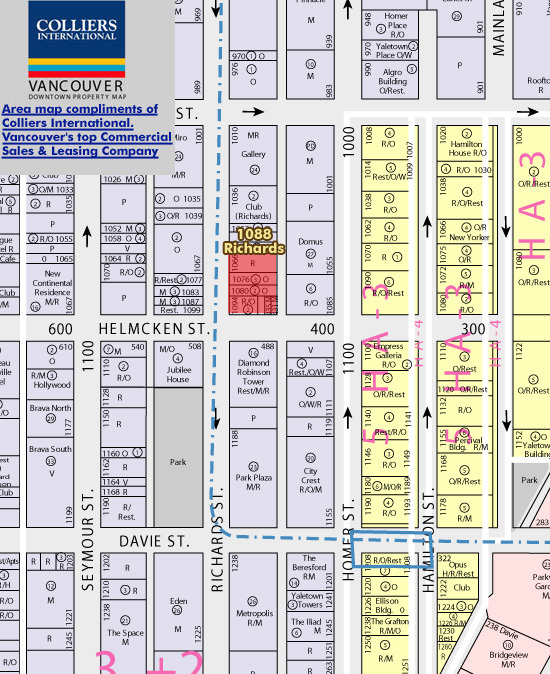 Don't think of a Richards homes as a home located at the intersection of Richards and Helmcken streets. Think of it, instead, as an address located at the intersection of the formidable and the fundamental.